ViaMéca is partner of the DIGIFOF project since January 2019. This projects proposes a network of training environments where HEIs, enterprises, and training institutions come together to develop skills profiles, trainings concepts as well as materials for design aspects of the Factory of the Future (FoF). It will create an organizational structure to foster knowledge transfer between industry and academia, aiming to provide educational and experimental OMiLAB4FoF, where FoF-aspects can be taught practically or experimented with. They will be equipped with a variety of open source tools suitable to the FoF-aspects. ViaMéca is partner of the CONNSENSYS project since November 2018. The aim of this project is to set-up a platform between food- and electronic/IT cluster organisations, relevant research and technology organisations (RTO’s) and other stakeholders, to lower the barriers for food companies to access and implement the newest smart electronic systems and to enable the Internet of Things (IoT) transition of the food industry. We also aim to join up comparable living labs, staffed with competent, multidisciplinary teams, from different European regions, to facilitate the sharing of best practices and complement each other’s expertise. Flanders’ FOOD (Belgium), INNOSkart ICT Cluster (Hungary), Campden BRI Hungary (Hungary), Pood-Processing Initiative (Germany), ASINCAR (Spain), ViaMéca (France), Galicia Food Cluster (Spain), Technology Institute of Galicia (Spain). ViaMéca is partner of the BIFOCALps project since November 2016. 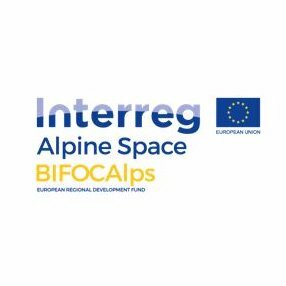 This projects aims to boost collaboration and synergies among main actors of the Alpine region innovation system for a sustainbale, smart and competitive development of the value chain of manufacturing sector towards Factory of the Future (FoF) practices. In 2017, ViaMéca alongside Grenoble INP have coordinated a work package devoted to identify best practices and gain better knowledge on successful and sustainable implementation of 4.0 technologies. On November 28th 2017, a regional workshop was held in Saint-Etienne in order to present the results of this activity.